This Kosher Kitchen was designed to conform to Jewish religious custom. The contemporary kitchen has multiple work stations, appliances and cabinets for meat, dairy and parve. White tile and quartz countertops provide sterile conditions for cooking. 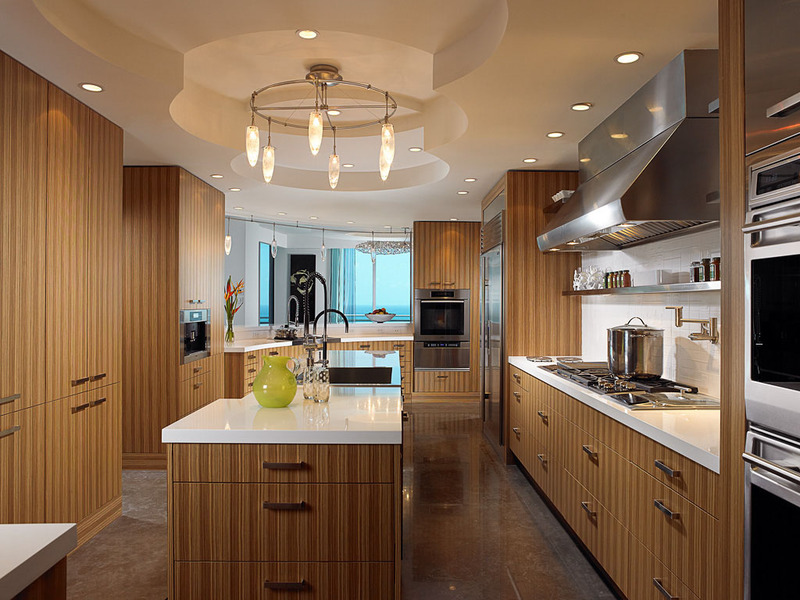 Stainless steel appliances complement the zebrawood cabinet panels.